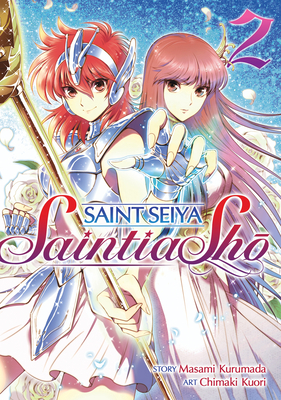 Shoko has decided to devote herself to becoming a Saintia–one of the goddess Athena’s mystical, warrior-handmaids. But achieving her goal is easier said than done. The Galaxian Wars draw nigh, and the curtain is rising on the life or death battle Shoko now faces. Can she find the power and determination she needs to save her sister, or will she fall to the dark poison growing within her? Chimaki Kuori is a Japanese manga creator best known for contributions to Persona 4 and Gundam Seed anthologies. Saint Seiya: Saintia Sho is Chimaki Kuori’s most recent series.